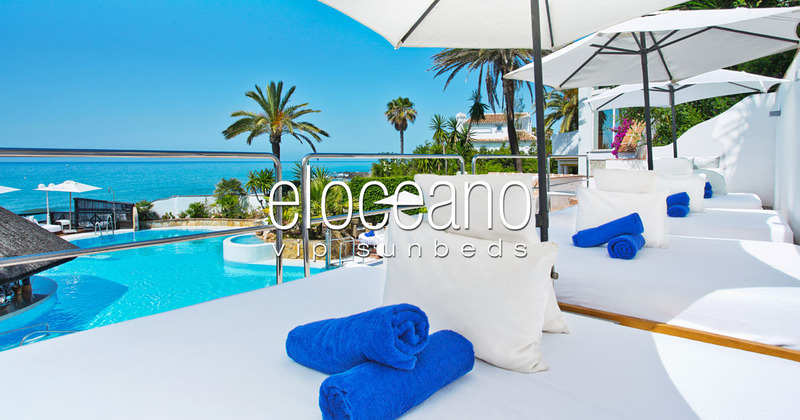 April's a Little More Awesome at El Oceano. Great VIP Sunbed Prices! 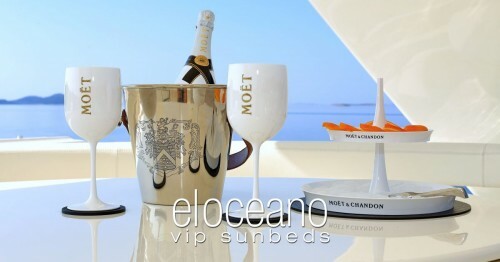 Your VIP Sunbed this April! 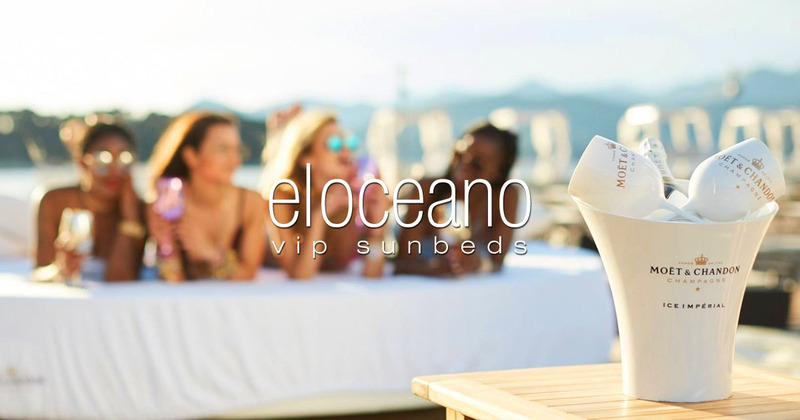 To celebrate the re-opening of the stunning, NEW-LOOK Polynesian Pool Bar, from Friday 5th April we will be offering double VIP Sunbeds for just 50€! 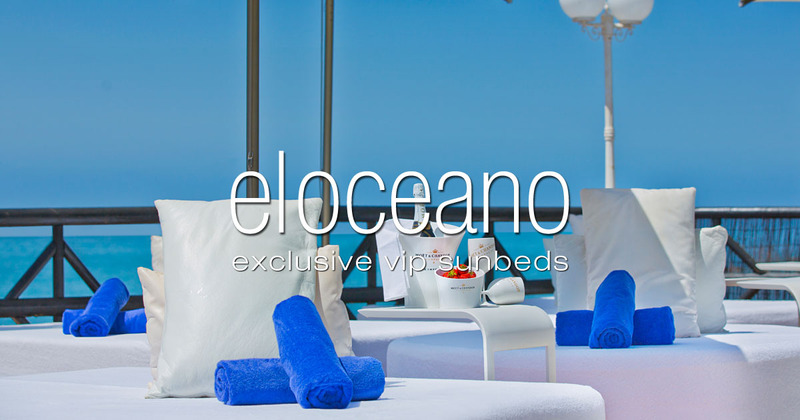 Normally 80€, that’s a big saving for your Awesome April at El Oceano!! Home » Blog » April’s Now a Little More Awesome! As you may know, every winter hibernation is a opportunity for us to update, renovate or redecorate our hotel, and Winter 2019 is no exception! This year, we’ve turned our focus to the garden and terrace, with all new outdoor dining furniture, Pool Bar tables and VIP Sunbeds! All that, plus a newly tiled swimming pool and – the ‘pièce de résistance’ of this season’s updates – the new roof on the Pool Bar! We’re so happy with the renovation of the Pool Bar area and VIP Sunbeds! To encourage everyone to come and see just why, we’ve dropped our VIP Sunbed prices for the duration of April! Normally 80€ per bed, for the afternoon, you can now book yours for just 50€!! Imagine it… Your own VIP Double Lounger Bed for 2 guests including towel & complete waiter service plus use of the pool and swim-up bar and other facilities – just 50€ per bed! April just got a little more awesome!! Luxury VIP Sunbeds at El Oceano this April! The 50€ price is for 2 guests per bed only, additional guests charged accordingly, subject to availability. We cannot guarantee specific bed allocation. In order to proceed with the booking we require the bed paid in advance payable by credit card (16 digit Visa or Mastercard number & expiry date ONLY via email). Cancellation policy within 72 hours of arrival. Cancellations or no-shows will be charged the full deposit. 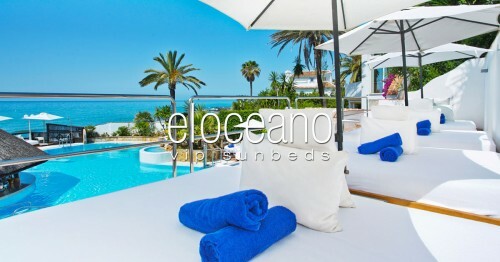 El Oceano Beach Hotel, Restaurant & Beauty Salon between Marbella and La Cala de Mijas: April’s Now a Little More Awesome!